… ranked from least expensive to most expensive, then the price of the 15th house from the bottom will typically reflect the price point of where investment grade properties begin. This definition provides a reasonable benchmark of a starting point in many towns, but may not apply equally well across all metros. On the high-end where the economics of investment grade properties tends to fade is north of the 40th percentile as the price to rent ratio often doesn’t support positive cash flow for investors. … will want to do his own due diligence before proceeding with this purchase. 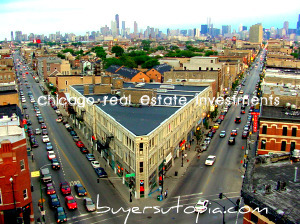 … buying an apartment building in Chicago’s Northwest suburbs? Do you need to refinance your existing Chicago apartment building to take advantage of todays low rates.? Managing your debt on an asset in today’s market can be one of the single strongest moves to improving cash flow. The BuyersUtopia network has small balance commercial loans available for multi family, mixed use, retail, self storage & industrial properties. The Chicago Northwest Suburbs have a number of opportunities on multi family deals that would fit our networks lending parameters. … to the findings, CoreLogic discovered that the most lucrative opportunities for single family REO’s to rental investors are in the Midwest and Florida due to adequate stock of potential REO property and also due to the high cap rates. … control of their own retirement future by setting up a Self-Directed IRA plan. The other motive is simply return’s, when an investor is getting 10% Cash on Cash Return on residential income properties, it is a pretty easy decision for most. … forecast looks promising. Current condominium and home sales will likely remain slow in several areas, for a while, even with historically low home finance rates. However, the market is indicating that overall real estate sales are trending in a positive direction — even though Atlanta housing prices are predicted to decline slightly. … U.S Home Real Estate Cycles in order to decide where and when to get into your real estate investments. 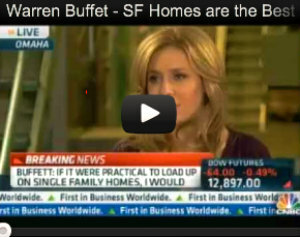 All real estate markets are not created equal. Many local markets are struggling with recovery while others are seeing strong demand and appreciation. Pick the winners and losers Learn More!